Do You Want An eCommerce Solution To Launch Hotels And Room Booking Website? The whole world is at the Internet now. Therefore, it is no wonder that even business transactions like hotel and room booking also have an Internet mediated implication. If one is devoted to travel and explore localities in the name of ‘vacation’, ‘holiday’ or ‘outing, all he/she wishes to do is log on to websites and look for the perfect place of holiday and then immediately after that one searches for the perfect hotel suites to match the perfect holiday destination. Therefore, it is important to adopt eCommerce solutions and strategies for launching hotel and room booking websites. Internet-mediated hotel and room booking are trending so that is what the hotel websites should go for – eCommerce web development services. So before actually asking for an eCommerce web developing company to actually provide you with the necessary solutions, make sure you know your problems well. For that, you need to design your eCommerce platform well. 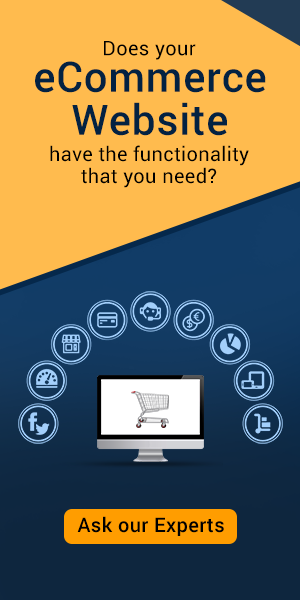 A perfect CMS or Platform plays a vital role in running an eCommerce business successfully. Some very popular such platforms include – Magento, Shopify, Opencart, Nopcommerce, Woocommerce, etc. With Magento, one can easily offer easily scalable, fully customized, functional and secure online stores. Shopify helps integrate your brick and mortar business and sell your products online. Opencart is a highly intuitive and lightweight development service provider. It is extremely beneficial for both start-ups and established businesses. Nopcommerce is based on an open source platform. Nopcommerce developers help integrate customer service with its shopping features. Woocommerce is a very popular WordPress plug in. It can be easily integrated into any existing WordPress website to boost the development of that company’s website. Other platforms include – osCommerce, Bigcommerce and Foxcart. One important thing that your eCommerce consulting agency will tell you to do is make your booking process easy and user friendly. Something that should be kept in mind is that people opt for websites to have a hassle free experience. Therefore, if the checkout process is cumbersome then, it will be a big turn off for the customers. Store your customer information permanently online, so that customers need not have to fill the same information every time they check in to your hotel. eCommerce website development can help in all of these requirements, provided it is done in a responsible manner. The hotel information should always be displayed at the front end of the website and the website front page should be adorned with the best rooms and hotel pictures. Because for someone who has never been to the hotel, dazzling pictures are the way to lure them in. WDIPL, an extremely popular and trusted web designing company provides services across multiple segments. WDIPL is one of the leading e-Commerce website development companies which offering solutions for running a successful online store.Other web development services provided by WDIPL include marketing, maintenance, and mobile apps development. WDIPL integrates the services of all of Magento, Shopify, Opencart, Nopcommerce, and Woocommerce. The eCommerce services provided by WDIPL include – Theme Development, Performance Tuning, M-Commerce applications, SEO Strategy, Module Development, Security Services and Maintenance Support. What Are The Benefits Of eCommerce Website Development? How to Choose the Best eCommerce Website Designing Company?